Each morning, I pull past DCD’s sign and read our school motto: Learning Is a Way of Life. It is an apt conviction as I jump into the work of learning about DCD, my professional home since July and a community I am delighted to lead as I begin my 24th year in education. Welcome to our website and to your own process of learning about DCD. 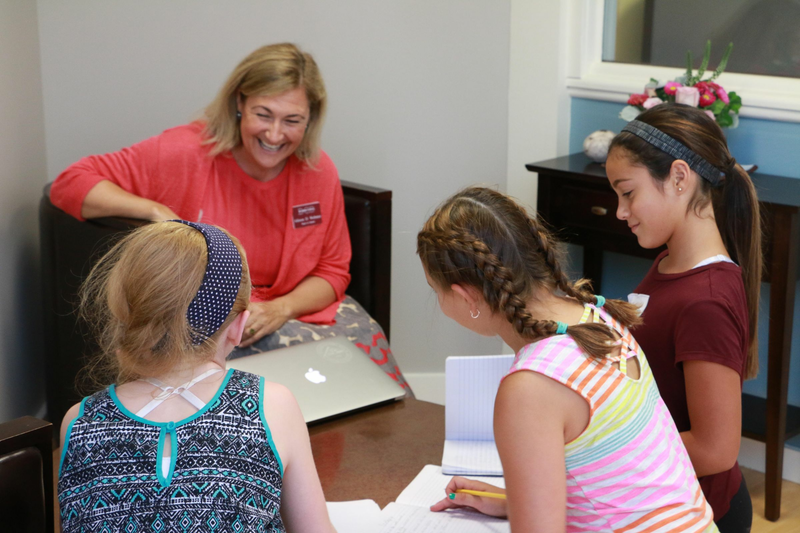 With 114 years of curriculum and program, hundreds of children, legendary faculty, generations of committed families, accomplished alumni, and a generative tradition of growth and evolution, DCD’s past and present are rich in stories. But much of the story of the school and its people lies not just in what we accomplish, but how things are accomplished through community and connection. When learning about a new environment, one may focus on learning facts, figures, and details. At its inception, the process of understanding a school can be a transactional one as families come to understand how tuition dollars are exchanged for experiences and programs. But for more than a hundred years, it has been an inspired combination of program and people that has made DCD a transformational experience for children, families, and faculty that transcends the transactional components of the school. With this in mind, I hope you will read these pages with attention to not just what DCD does, but how we do it. How do we help children learn to respect and engage with the diverse perspectives and people around them? How do we help children think critically and deeply, looking for the connections between disciplines and ideas? How do the elements of the program fit together to stretch children to be scientists and poetry readers, athletes and musicians, mathematicians and artists, individuals and community members? How do we provide the scaffolding for ever increasing levels of independence and choice? It is through relationships, community and connection that children find the emotional safety to engage deeply in learning. We develop children’s individual strengths and at the same time give them a greater sense of purpose as they discover their responsibility to the community as a whole, and ultimately the larger world. It is not just children who are engaged in this way at DCD, but also a vibrant community of adults – both parents and teachers – who come together to support children every day. When I pull into Sandy Valley Road each morning, I am filled with gratitude. I feel thankful to lead a community that has meant so much to so many generations of children and families; a community so profoundly characterized by kindness and respect; a school with a reverence for the process of educating children and adolescents, and not solely the outcomes, that values the “how,” not just the “what”; and an environment where learning is a way of life for both children and adults. "It is through relationships, community and connection that children find the emotional safety to engage deeply in learning". Allison Webster grew up in Winchester, MA. After graduating from Winchester High School, she attended Rollins College in Winter Park, FL where she majored in English and discovered the power of interdisciplinary learning. Allison graduated with honors and went on to Tulane Law School in New Orleans, LA. She became a member of the Massachusetts Bar and practiced for two years in Boston, but soon discovered her love of schools and decided to switch careers. Allison attended Harvard Graduate School of Education and graduated with a M.Ed. in Teaching and Curriculum. 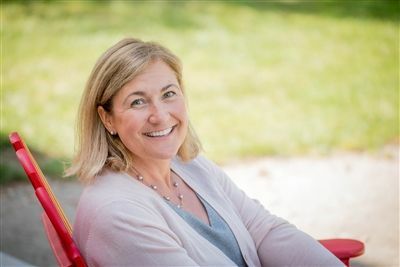 Over the next twenty years, Allison worked as a middle school teacher at Shady Hill School in Cambridge and The Park School in Brookline, ultimately becoming the Assistant Head of School at Shady Hill. During her years as a teacher and administrator, Allison became interested in the question of what makes children and institutions thrive. In 2013, she earned a Master of Applied Positive Psychology at University of Pennsylvania, a critical step along with her practical experience in better understanding this question. Allison and her husband, Andy Stromberg, live in Belmont, MA with their two teenage daughters.